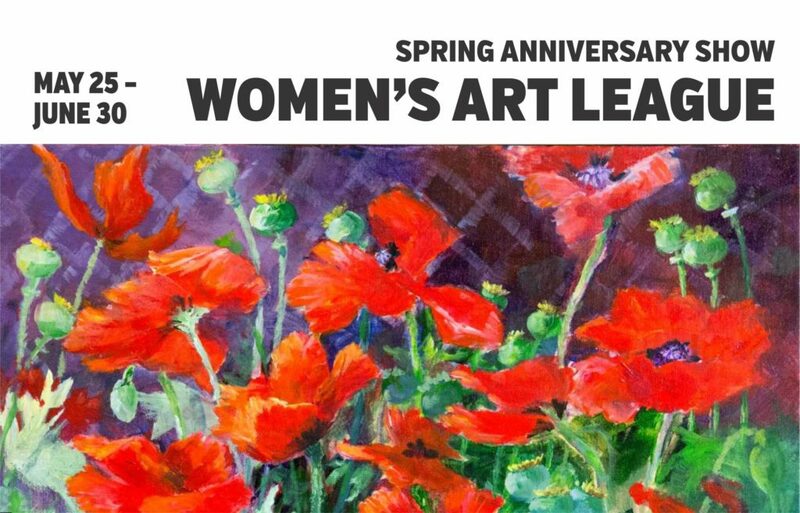 ARCHIVED Marking a milestone: happy 85th to the Women’s Art League of Akron; anniversary show on exhibit until June 30; panel discussion coming up! 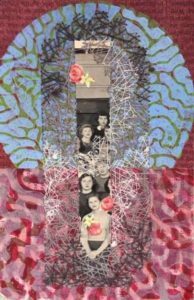 You are here: Home / ARCHIVED Marking a milestone: happy 85th to the Women’s Art League of Akron; anniversary show on exhibit until June 30; panel discussion coming up! 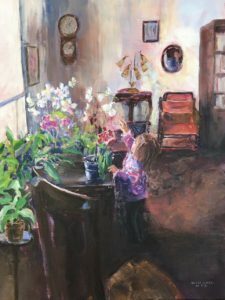 The historic Women’s Art League of Akron celebrates 85 years of creativity with an anniversary show May 25 through June 30 at Summit Artspace on East Market. 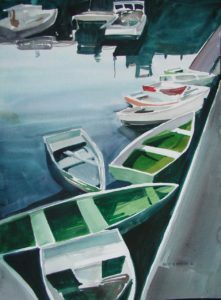 Here are the winners of the juried awards for the show. 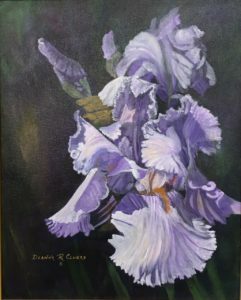 In the early twentieth century, Akron’s skilled women artists were struggling for recognition and at a disadvantage because of their gender, said Deanna Clucas, a league member and local artist. 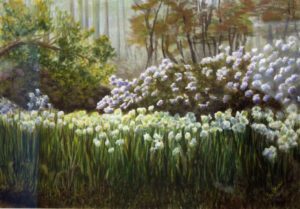 Twenty women gathered together in 1933 and agreed it was time to form an Akron society of women who liked to paint. Gertrude Seiberling, the matriarch of the prominent Seiberling family and the mistress of Akron’s Stan Hywet mansion, was one of those founders, Clucas pointed out. 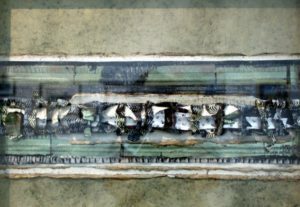 More than 8 decades later, the prize-winning league is still a force to be reckoned with on the local art scene. 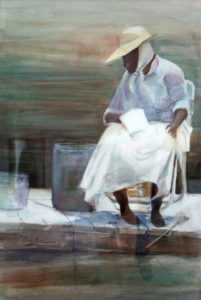 Members create works with oils, acrylics, watercolor, pastels, colored pencils, graphite and mixed media as well as fiber art, photography, sculpture, collage and printmaking. The art varies from realistic to abstract genres. 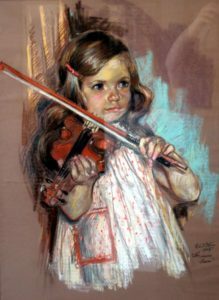 An original mission of the group continues with the funding and awarding of art scholarships to female high school seniors continuing their art education. League members will participate in a panel discussion in the main gallery on June 28, 7 p.m. Reserve a seat at https://bit.ly/2L5Qs3p. Summit Artspace’s panel discussions have been gaining in popularity as community members come to appreciate the forum as a place to learn more about the skill and talent of local artists. 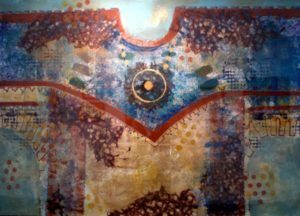 Summit Artspace’s main gallery is open Thursdays and Fridays, noon to 7 p.m.; and Saturdays, noon to 5 p.m. Additional hours are 5-9 p.m. June 2 for Artwalkm 5-9 p.m. and for 3rd THURSDAY on June 21, which runs 4-7 p.m. at Summit Artspace.